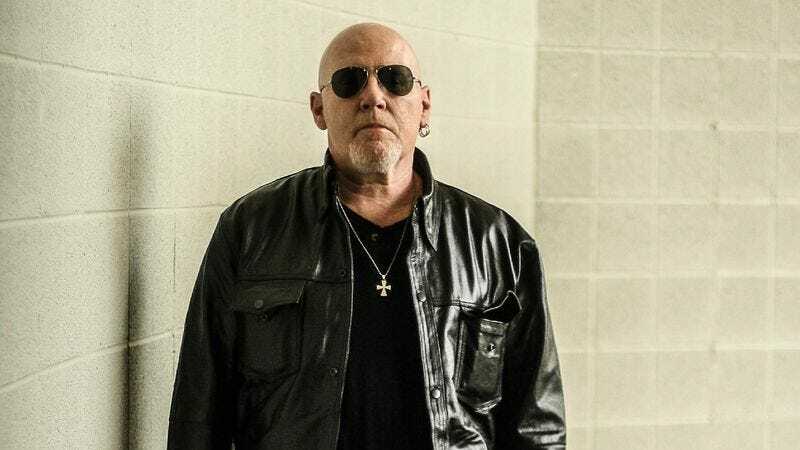 Cheetah Chrome made his name as the guitarist for upstart Cleveland punk acts Rocket From The Tombs and The Dead Boys, but he’s since mellowed a bit. Much like Mekons’ Jon Langford, he’s fallen in to the alt-country arena, having become director of A&R for Plowboy records, a label started by Eddy Arnold’s grandson, Shannon Pollard, and historian Don Cusic. Plowboy’s released a number of records, including a tribute to Arnold recorded at historic RCA Studio B, but will be putting out Chrome’s very own first solo release Oct. 8. Solo is a seven-song EP spliced together from both a 1996 recording session and a 2010 session with Sylvain Sylvain. The A.V. Club has the premiere of one of the tracks, “Rollin’ Voodoo,” below. It’s a little bit twang, a little bit punk, and a whole lot Cheetah Chrome.